Keep your kids safe and let your entire family be in touch. 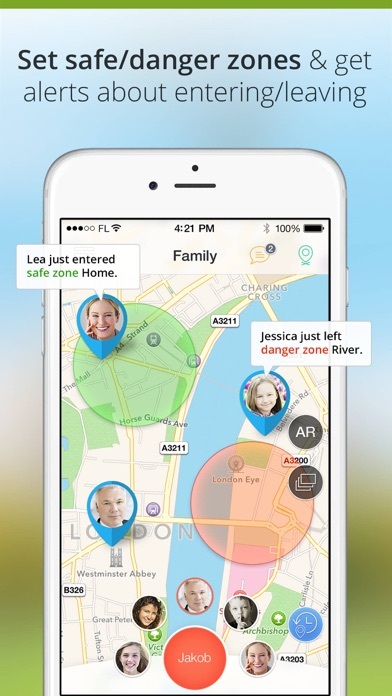 Family Locator is the family tracker, children safety & emergency alerts app awarded by the largest parent-testing community Parent Tested Parent Approved. 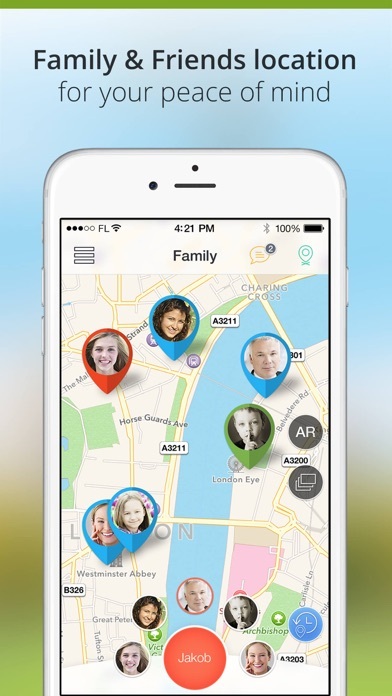 Try Family Locator to: - See where family members are right now - Share free cross-platform family messages - Know when kids leave school, Grandma’s… - Receive alert if they go where it’s not safe - In need send/receive SOS with exact location - Find them in park with augmented reality - Geofence a place to know when they get there - Be notified if they leave chosen location - Check-in to tell others where you are - Navigate there (works best with Sygic GPS Navigation) - Reveal location only to people you trust Family Locator was created by parents like you: - Designed as an easy tool for you & your kids - Even if you are busy it keeps you in touch - Privacy of your family is top concern for us - High quality positioning is guaranteed - Battery consumption optimized for daily use - Invisble mode for parents - administrators -Only a parent - administrator can manage family members and safe/un-safe zones Premium In-flight mode locates you during your flight and lets your family members see the location of your plane on the map. Your family members will also get notified when your plane departs, lands, is delayed, or canceled. You do not need GPS or data connection while on board. 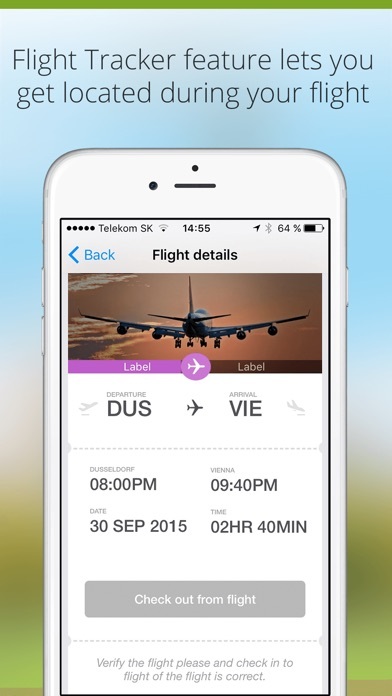 Simply check to your flight in the app and you are all set. We get all data from FlightAware, the most popular flight tracking service. Family Locator needs to check your position regularly, but still does not take more than 4% of your battery life. For Family Locator to function properly Location services must be turned on. 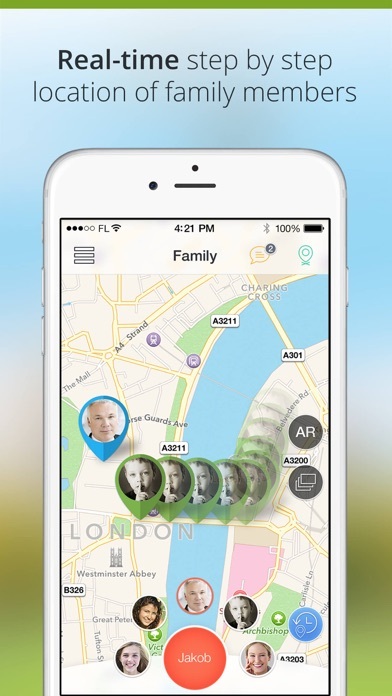 Give Family Locator a try and tell us what you think. 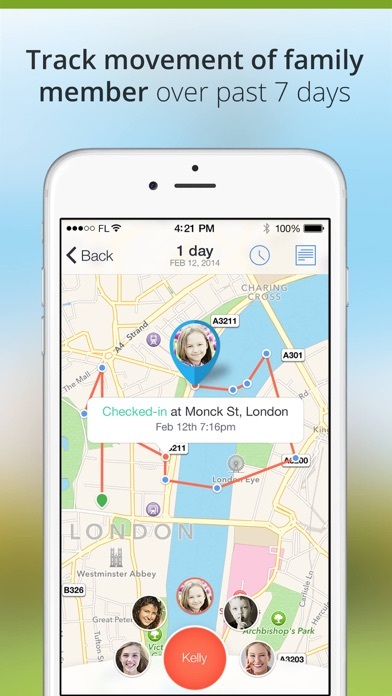 Sygic | Bringing life to maps. Note about the use of GPS: This app can use GPS in the background mode. Continued use of GPS running in the background can dramatically decrease battery life. I paid for the app so I thought it would work good, that’s not the case. It updates far less often than other free apps I found. I have given it two years and finally giving up on it. Don’t waste your money! Even though I bought the premium version the location is off most of the time, I am unable to receive any notifications, and the app glitches almost every day. I contacted app support two weeks ago and STILL haven’t received a response. VERY unhappy with this app!! I don’t know if there is a bug or what. Attempted to real-time track nanny and it said it couldn’t locate her. It then asked me if I wanted to send a notification. I selected yes. It didn’t send anything. I attempted to real-time track my wife’s phone who was sitting right next to me. Same thing. Couldn’t locate. Send a message? Yes. Nada. It will update a users location on the map every 45 mins or so. This is not real-time tracking. You all need to fix this. The app is good overall. But, i bought premium, thinking my family would have these features to. I am a user of their GPS app and i have paid 40$+ it is the best navigation. But, now this. First, real time tracking should be a thing, without sending any notifications. And the whole family should have premium. Please fix your app! Listen to our voices! The app will not let you enter family members manually. The only option is to provide access to your entire contact list. I consider that to be theft. It worked for a few days then stopped and did its own thing. It would b show he’s at home when he’s gone with his Gigi. I’m deleting it now because we left the house early this morning and it never showed that he left we got home at 5 about 30 minutes later it says that he just left. There is no point in this app! I’m really disappointed with this app. I bought it because my daughter flew to France two weeks ago and I wanted to truck her ways. She came back last week and, according with this app, she still in France. I could not see her ways there, this app took forever to update and still. I will never recommend this app to anyone.